It’s no secret that social media has taken our world by storm. In fact, there are so many people online that in a study by Hootsuite, they mentioned there are now 3.196 billion people using social media! Which is why it is imperative that brands use these platforms to market to their audience. So important that a study by Growth Gurus found “63% of consumers who search for businesses online are more likely to use ones with an informative social media presence”. But, a business can’t do all the work themselves. They need the help of earned media. 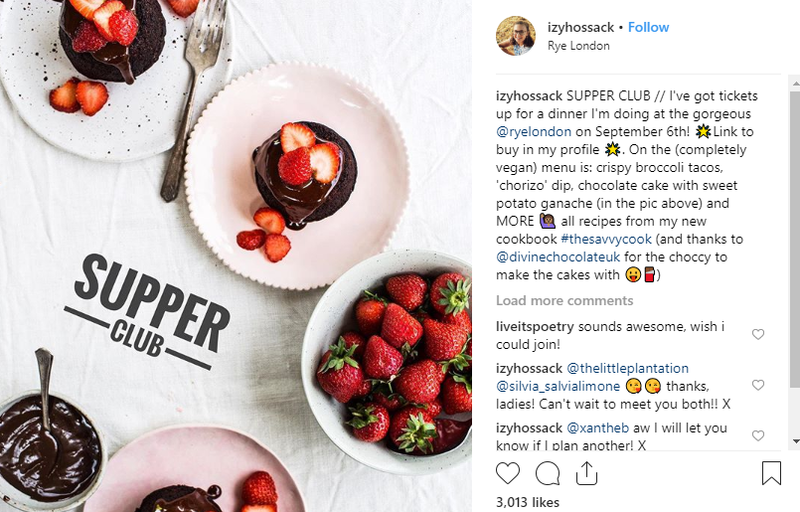 That’s why the best brands and products out there use user-generated content and influencers to build up their social proof and increase their trustability. It’s much easier for a potential customer to trust the recommendation of a friend or beloved industry influencer than a traditional paid ad. As famously announced by Nielsen, “people are 4 times more likely to buy when referred by a friend”. This is exactly why using an influencer program can be beneficial for your brand. The trick is to do it the right way. 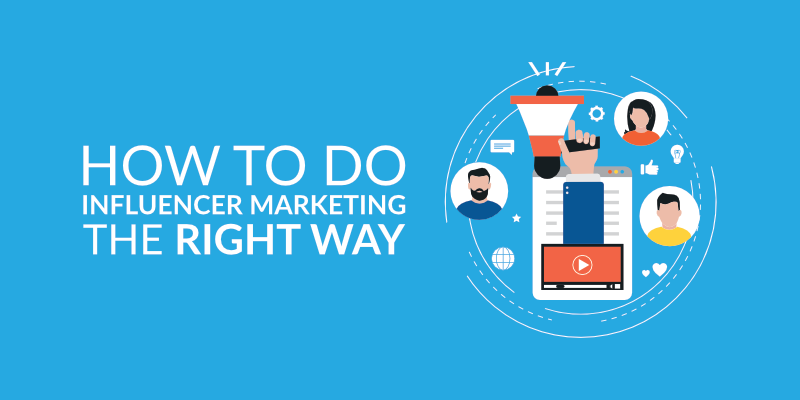 Let’s dive into how to do it and review a few influencer campaigns that work. By now you’re probably realizing how important influencer marketing is. But before we delve into how to do it, let’s recap what influencer marketing is. As you can assume, influencer marketing uses the power of someone who has a large following or audience in whatever channel they ‘live’ in. An influencer is someone who has a ton of fans and a lot of reach. The best part is they don’t even have to be a celebrity, just someone known and trusted in their industry. Like a beauty blogger, a vlogging gamer, or even a well-liked Instagramming mom. A brand uses influencer marketing by taking those influencers and having them promote and share their products. This works because, typically speaking, an influencer is well known for a specific thing, and when their audience sees them give their stamp of approval for a specific item or brand, it increases brand awareness and creates engagement for that brand. Finding an influencer does not have to be difficult. In fact, there are plenty of ways to go about it. You can find them yourself, which in the grand scheme of things is relatively easy. Or you can make it even easier by using influencer marketing software where you can select your influencers based on your own set criteria. You can find someone who is well-known in your niche. For example, if you do a search on your favorite social media platform by using the keyword that represents you best, you may find the perfect influencer in that space. These people are likely high up on the food chain in your niche. Meaning they have a good amount of followers and seem to post consistently. You can use this to your advantage and try to reach out to them via a private message to see if they would be interested. The trick is to find which platform works best for your business and focus your efforts on that (you may be able to use multiple platforms too). For example, if you are trying to get your new restaurant out there, a food blogger will likely have multiple channels that they can mention you on whether that be Twitter, Instagram, their blog, or even Youtube. You may find that some of your customers are already writing to you and about you. They might already be posting user-generated content on your behalf. These people are true fans and may be worth turning into one of your influencers. Even if you don’t see them on your social profiles, you might already have some brand ambassadors who love you and not even know it. You can run a quick search to see if there is anyone talking about you. Then you can assess whether or not they fit the bill. Then proceed on to get them onboard with being an influencer for your brand. How do you figure out if people are searching for you? Well, there are a ton of tools out there that can help you, like Google Analytics and Social Mention, to name a couple. You may still go out and look for your own influencers. But, if you want to make the process of hiring, getting content, and setting up incentives and payments a lot easier you can use software to help. These kinds of software often times house huge databases of influencers. You can browse thousands of profiles and narrow them down by exactly what you need. Whether that be an exact demographic, gender, preferred platform, etc. As with any software, if you choose to use an influencer platform, you are much more likely to run a smooth campaign. As the platforms are more likely to help you track and enforce what you need. Plus, automating your entire campaign leaves you a ton of free time to focus on your business. Because many influencers use their influence through mobile, you’ll find that the majority of influencer software is mobile-friendly via an app, making it very easy for you to have a conversation directly with the influencers you want. Like other marketing strategies you use, a good influencer program will have goals set in place. Whether you hire an influencer on your own or use software with a big database. These influencer programs work simply because both parties are on the same page and know what to expect from one another. Though many influencers have complete freedom to come up with the content they create, they still have specific checkmarks they have to meet. Game of War – Game of war is a mobile app game created by Machine Zone. 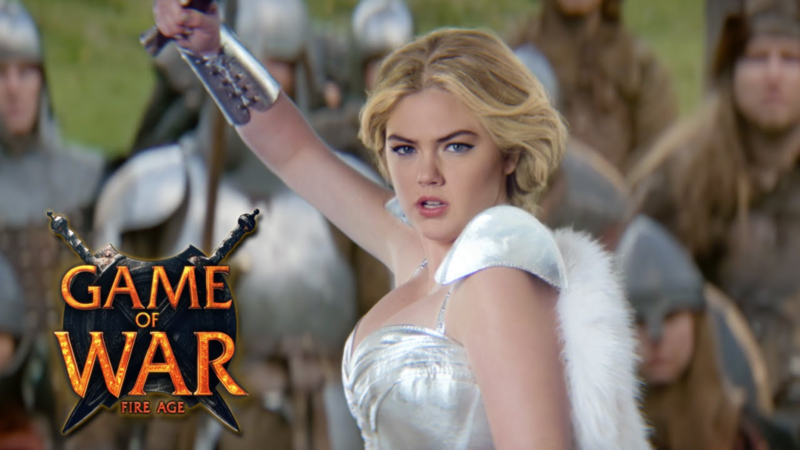 Game of War has a pretty high ranking in the app store and is pretty memorable partly thanks to its celebrity influencers. The app used Kate Upton as their face and paid tons of money promoting the app over multiple channels, including television. This influencer program went beyond that of a ‘normal’ influencer program and hired the big names to help them produce content on channels like Youtube. With their influencer content and their other marketing investments has given them a high profile look and feel, leading them to a high number of app downloads. Ibotta – The grocery rebate app partners with influencers who are trusted by everyday people. 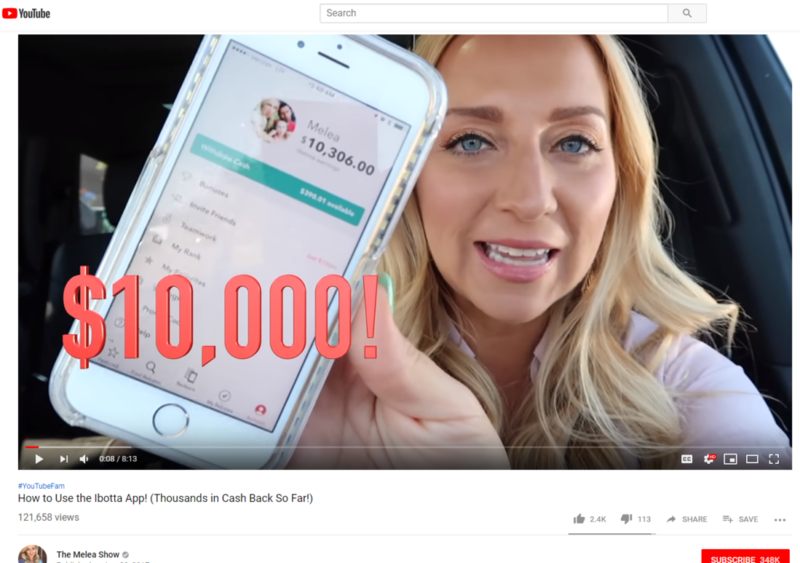 This is a key aspect in their influencer marketing because this cash saving app is typically used by busy and on the go families. In order to get people to adopt the app, they focused on like-minded influencers. Like, The Melea Show, who discusses a variety of different ways to save money and earn free things. And with 348,717 channel subscribers, she has plenty of influence and has become a trusted source when it comes to being thrifty. Her Ibotta App video alone raked in 121,658 views! Colourpop – An eCommerce shop who specializes in makeup uses a ton of user-generated content to drive traffic. Fortunately for them, they have a ton of followers, and the beauty influencers they choose to create share-worthy content. 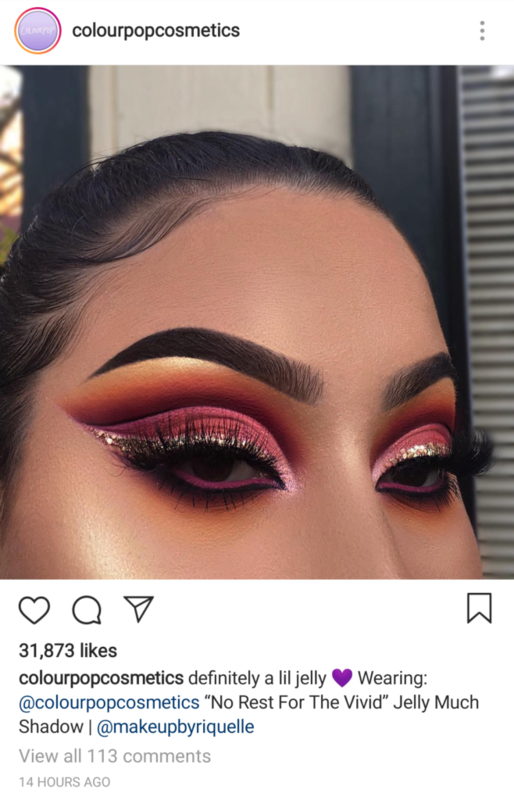 Colourpop shared one of their influencer’s images and got 31,873 likes within 14 hours of being posted. Though they have plenty of influencers who have churned good content for them, they run a variety of marketing campaigns, like the Colourpop referral program. This way they can create word of mouth by regular shoppers and can share their business via mobile and on the web to different social sites. As you can see a good influencer can do a lot of good for your brand and bring you a ton of good word of mouth. You need to have measurable goals. You can make your goal any number of things, but there are two main things you’re likely to track with your influencer marketing campaigns. That is engagement and revenue. The whole point of running an influencer program is to increase awareness for your brand by creating engagement. Secondly, and perhaps, more importantly, is to increase revenue. But how do you track this to see if it’s actually working? Track a test product – You can assign influencers a specific product to push and then you can easily track the purchase rate of that specific item. If you notice an influx of purchases during the dates your influencer pushed the item, then you can likely correlate the influencer’s effect on the sale of that product. If you want to verify the influencer’s true effect on that product you may opt to dig a little deeper and track via promo codes, links, or software too. Promo codes and links – Perhaps the easiest way to track incoming traffic is to use different codes. If you are offering any sort of incentive, like 10% off, you can assign a special promo code to your influencer. You can easily see exactly who is coming in via that promo code, making it clear to see how well your influencers are doing. You may notice some of your favorite bloggers mention using their code for a special discount, or you may see them offer a special link (like an affiliate link). These tie that engagement to the influencer, and it really is easy as that. Analytics software – Google Analytics, for example, can help you see where customers are visiting from. You can set up specific goals or events and then look at which influencer blogs and channels your traffic has come from. This is a very reliable way of measuring your influencer marketing and can help you assess your ROI. If you are using an influencer platform, you’ll be able to see all the analytics from your user dashboard and track engagement and revenue, among other things, as a result of your influencer’s work. The biggest step is to find the right influencer for you, and figure out how you are going to track their progress. You may also find providing your influencer with some incentives can increase their enthusiasm for your business. As most people realize there are plenty of ways to promote your business. Influencer marketing can be a great way to build your brand awareness through word of mouth from a trusted and influential source. Megan Mosley is the marketing specialist at Referral Rock, where they believe every business has the potential to increase their word of mouth. When she’s not working, she enjoys sipping on coffee and hanging out with her family.